Can the manager who manages the property use the funds to pay the earnest money and closing costs? If an IRA invests in an LLC, the cash that is under the LLC can be used to pay the earnest money in purchasing a property and pay closing costs as well. How much more flexible is the checkbook control vs the debit card available on a non LLC? From the stand point of paying expenses out of the IRA, they have mostly the same features. The debit card feature under an IRA does have a limitation of the amount it can be funded. IRA funded LLCs can invest in a crowd funded investments as long as it complies with the prohibited transaction rules. An IRA does not have to invest in an LLC to invest in crowd funding. It may invest directly. Do you know what state taxes might apply to an IRA LLC since they are IRA funds? Wouldn't most taxes be tax-free (Roth) or tax-deferred (Traditional)? It is best to ask a competent tax professional on state tax issues since we do not have that information. If I have a SDIRA LLC and I am over 59 1/2 can I withdraw funds from the LLC at any time for personal use or do I need to dissolve the LLC before I can have access to these funds? With regards to property management, can the manager of the LLC perform property management functions when that manager is the owner of the IRA? It is not advisable for the disqualified person (i.e., the IRA owner) to perform services on an investment held under their own IRA. Performing services is one of the functions listed under IRC 4975 that is considered a prohibited transaction. Where are assets and cash held for both the LLC and/or the actual self-directed IRA account? All are considered held under the IRA (i.e., both the LLC and Checking account). The title of the checking account must contain the IRA’s name on it which makes it held under the IRA. Any distributions to the IRA holder must be relayed to the Custodian or Trustee of the IRA to properly report to the IRS any distributions made. UBIT is a tax on tax-exempt entities such as IRAs for income related to trade/business activities. Certain incomes are carved out from taxation (e.g., rental income, interest, dividends). If husband and wife form a self-directed IRA LLC jointly, can they fund it with moneys from their individual retirement accounts? IRAs cannot be held under joint ownership. The "I" in IRA stands for individual. 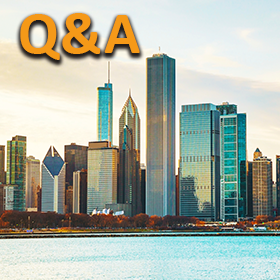 We encourage our readers to post any additional questions regarding real estate IRA LLCs in the comments section below so other readers may benefit from the answers. Or contact one of our trained professionals for a quick chat. 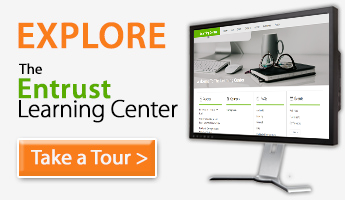 Please visit out Entrust Learning Center for further resources.